“Capturing the movement of light and shadow from an uncommon vantage point reveals the beautiful and unexpected within the familiar around us. 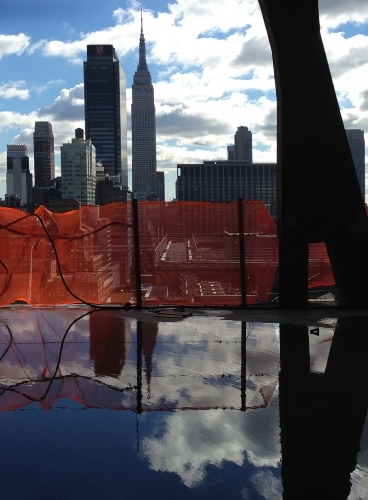 An unfinished building, viewed from within, frames a familiar skyline as an abstraction. The texture of a building façade, seen from below, is reminiscent of the wings of a bird. The underside of a bridge reveals girders and utility cables exploding in a celebration of line and color. The goal of my photographs is to make these moments tangible. I seek out unusual vantage points, which are expressed in color, pattern, light and shadow”.